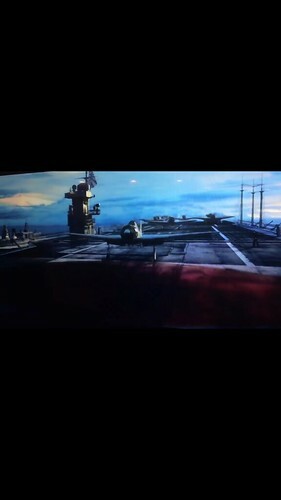 [quote="Haijun watcher"]I just watched the recent Bruce Willis movie [url=https://www.youtube.com/watch?v=BgIJfoo0n9Q]"Air Raid/Air Strike,"[/url] where he stars as a US military advisor for the Nationalist Chinese Air Force fighting the Japanese over China just prior to WW2. Only [i]Kaga[/i] or [i]Soryu[/i] had starboard islands among the [i]Kido Butai[/i] carriers that were active in striking China before Pearl Harbor. 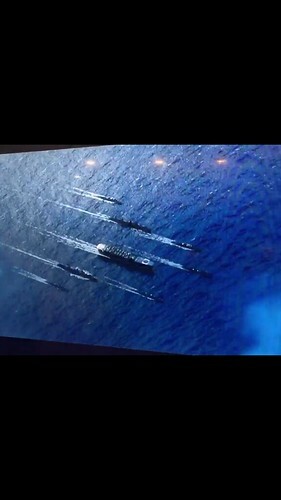 The bridge in the 2nd pic doesn't appear to be [i]Kaga[/i], although that could be just lack of effort in CGI-modelling. I am guessing it is more likely [i]Kaga[/i] rather than [i]Soryu[/i] because of how the carrier hull proportions look. I just watched the recent Bruce Willis movie [url=https://www.youtube.com/watch?v=BgIJfoo0n9Q]"Air Raid/Air Strike,"[/url] where he stars as a US military advisor for the Nationalist Chinese Air Force fighting the Japanese over China just prior to WW2. [quote="ch hoeltge"]Is their a replacement set for the twin 12cm guns available for the Akagi?